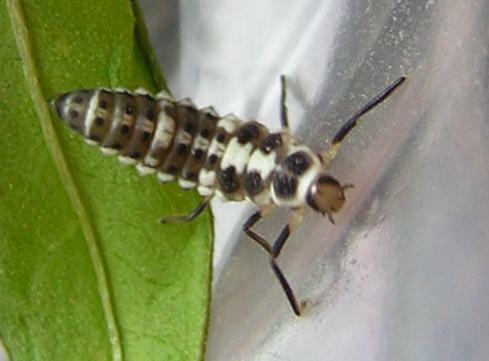 Fourth instar, one day before pupation. The larva did not eat today, but was very active, wandering widely and rapidly. In this photo, selected to show the black and white pattern of the head, it's about to climb the side of its container. Plant: Lady's thumb/smartweed (Polygonum sp. ), my main source of aphids in July.